Ships today if you order in the next 13 hours 54 minutes. Symptoms of fatigue, irritated skin, bloating, weight gain, skin problems and bloating may be a signal that the body needs cleansing. A sluggish colon and the buildup of toxins can affect our health immensely. 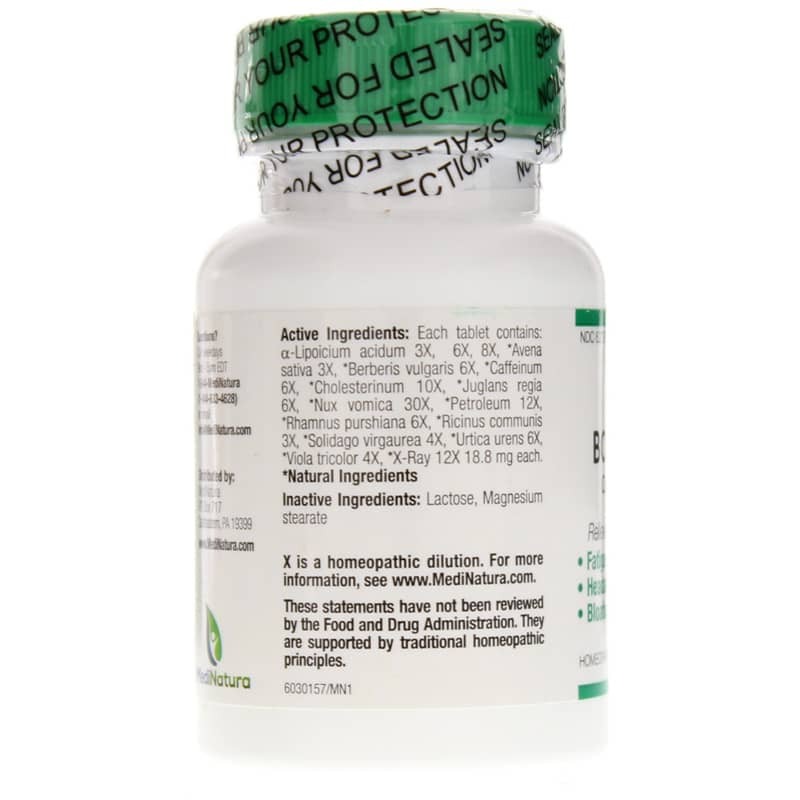 If you need a natural way to help support your colon, homeopathy has some good, gentle options. 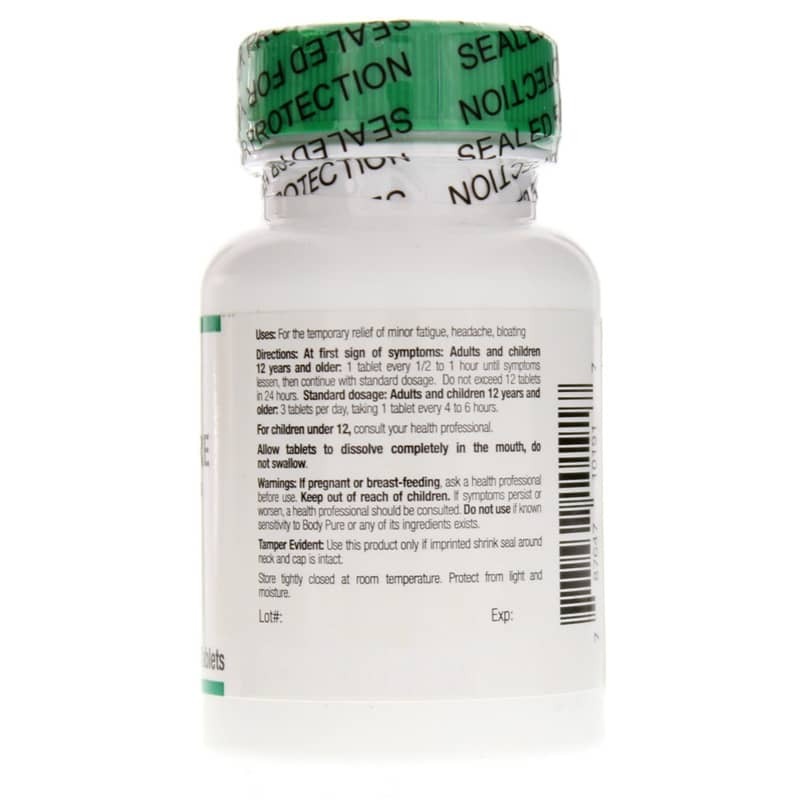 BHI offers a homeopathic product called Body Pure that seeks to temporarily relieve bloating, fatigue and headache. These tablets must be allowed to completely dissolve in the mouth. They should not be swallowed. Protect this bottle from moisture and light. 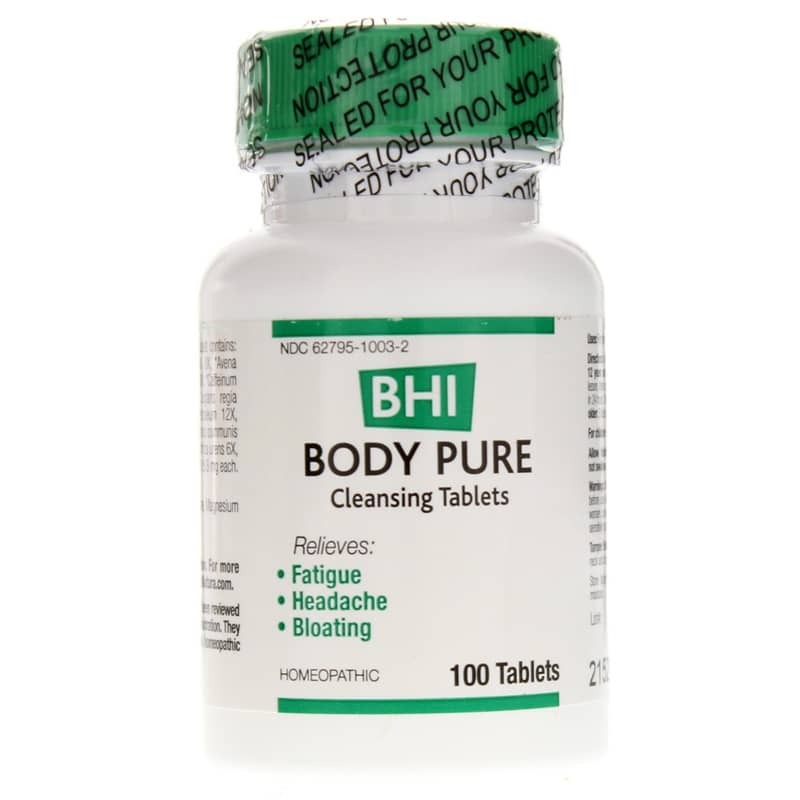 If you're looking for a homeopathic product that seeks to temporarily relieve bloating, fatigue and headache, consider BHI's Body Pure. Order online today!